Tesla Inc shares sank 8 percent on Wednesday after the electric car maker delivered fewer-than-expected Model 3 sedans in the fourth quarter and cut prices for all its vehicles in the United States in response to the loss of a green tax credit. Tesla shares are down 8.4 percent at $304.91 in pre-market trade. Overall, total production rose 8 percent to 86,555 vehicles. 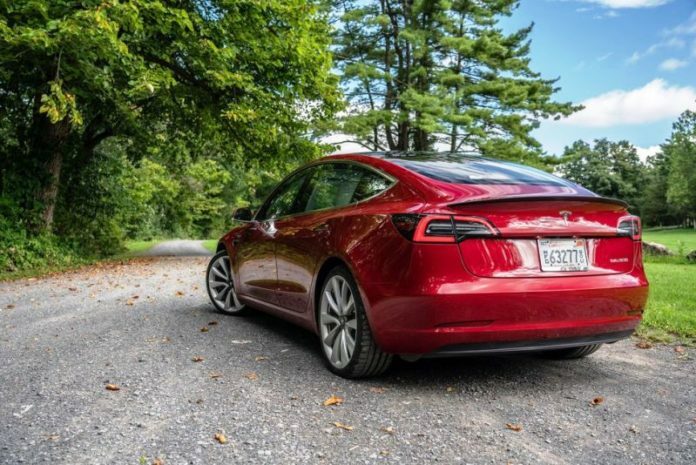 The company produced 61,394 Model 3s, up from a total of 53,239 Model 3s in the third quarter, but showed no improvement on the 5,000 per week rate it finally achieved at the end of the third quarter. The company said in its third quarter results that it would focus in the fourth quarter on further increasing its production rate and there were indications that Wall Street had been expecting higher numbers. Starting Wednesday, the company said it will be reducing the price of Model S, Model X and Model 3 vehicles in the U.S. by $2,000. Tesla has been urging buyers to make use of the federal tax credit, with Chief Executive Officer Elon Musk reminding them on Twitter on Saturday that the benefit would drop to half beginning 2019.